I have newreleases to share and a new creation to share. Let's start with the new creation ... it's a painting. We have been looking at the work of Gordon Benningfield and we were all paintinga picture based on one of his pencil sketches. I knew the church and cottage were in Evershott, a Dorset Village, so we went out there last week to take pictures so I had an idea of colours, light etc as there was not much on the sketch. Yesterday I finished the painting and for once I am quite pleased with what I painted. I can see all the glaring errors, but there are some good bits too. and the photo I took last week - maybe I ought not to have posted that as you can see my painting isn't that good really. Yes it is framed and up - untilt he next one. We have one framed picture up and I just change them around. what a difference a week makes - it was beautiful just a week ago when we went to Lulworth. Much colder and greyer today. The photo is of Swanage Steam Railway. I do love a bit of steam. and the photo is of the side of EvershottChurch - the painying church from the first picture. You will all remember that my good friend Dawn Inskip passed away suddenly last year. There are still many days when it just hits me and I think of her so often. 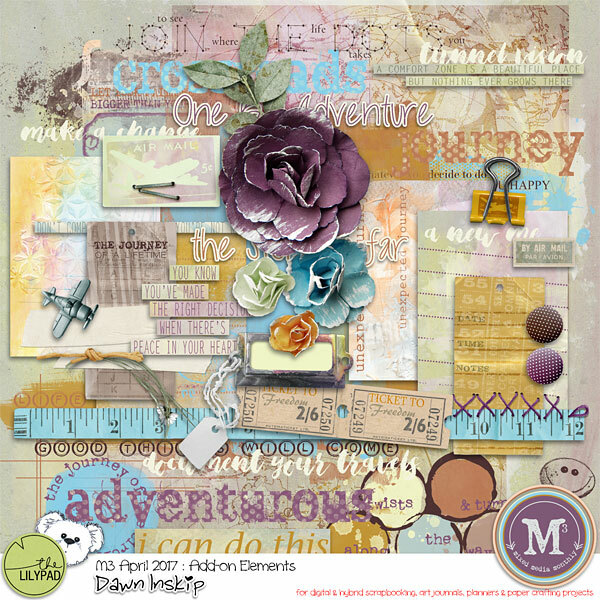 I wanted to scrap something special but couldn't think what and how and then I saw a page posted for inspiration on FTLOPP and I knew I had to scraplift it for Dawn. The defining thing that always stood out with her designs was the colour. I am a vanilla person ... I fear bright colours (not that you'd believe it if you saw my car!) and Dawn's designs always made me explore so much more than I would have done. They were bright and vibrant and lush and so this was the perfect page for a tribute to her. It took an age to find and cut all the coloured petals, ink them, punch the stars and circles, but it was very therapeutic. The photo is Nigel and I on her bench on the day we went up with Paul and Carly to unveil the bench. I think Dawn would have approved! In addition, I have been painting today. Our focus at art this month has been to look at pop art - not a genre I like or really understand. I have had a couple of dabbles but this one - copied not my own design, but obviously painted myself and made my own a little - I was quite pleased with. Works better if you are further away from it and squinting helps too. Very interesting exercise in negative space. Doubly proud as I painted it in acrylics which I hate using. Today has been a very productive mix of work (4 hours this morning) and leisure this afternoon with art group. Work is OK and it is nice to feel valued and serve a purpose and meet nice people but I am glad itis only a couple opf weeks every few months - suits me well. At art today our brief was to be free and loose and paint with marks, no detail and quickly in sketchbook style. I haven't picked up a brush for 5 weeks and I really don't do free and loose, I do tiny and detailed and painstaiking hours. So it was a really really good exercise for me. And I loved it. I completed my painting in well under and hour and it looks kind of OK. I am not sure it is a style I will revert to but it was great fun. And now on to travel journals as I left you just about to get to Concord Massachussettes where Nigel's brother lives. Bridge traveled and recorded for posterity ... and scrapping, we continued towards Concord. Tummies were rumbling and the need for a Starbucks was great and so we entered a town called Keene. Well, it was so us. We love nature and scenery and views, but we also love retail therapy. Starbucks and fast food and Keene offered it all, I was thrilled to find cards at Target that were awesome. I had been upset that, when packing, I realized that whilst I had bought and wrapped presents for Nigel’s birthday which would be during the trip, with everything going on I had not bought a card. And yes, I do make cards, and no, it wasn’t happening at that point. I have vowed never to buy Nigel a birthday card from anywhere but America again. The cards had such wonderful words. Americans are not afraid to wear their hearts on their sleeves and that floats my boat. It wasn’t long before we were nearing Concord, Mass and, as it was earlier than expected, we decided to park up in the town and take a few photos as the sun was bright and the sky cloudless. We walked around, enjoying the small town feel and the picturesque buildings before a quick visit to the Alcott house, one which I couldn’t miss as I had already bought Little Women scrapbook supplies. Concord is a very special town for many people for many reasons. The town of Concord, Massachusetts, just 20 miles west of Boston but with major small-town charm, holds a special place in the heart of many Americans. What was once the site of seasonal Indian camps, and then a sleepy New England village, became something else entirely one April morning in 1775 when one of the first battles of the American Revolution was fought in Concord and later immortalized in Ralph Waldo Emerson’s “Concord Hymn.” Emerson, along with the likes of Henry David Thoreau, Nathaniel Hawthorne, and the Alcott duo of Bronson and Louisa May were part of Concord’s mid-1800’s literary and transcendental flowering, for which the town is also famous. In no order some of the beautiful houses int he town, the gorgeous churches and general shots. It is a town we have always loved visiting when we go to see Nigel's brother. He has lived in Concord for some 35 years now. The Colonial Inn has been used in many films including one of our favourites... Housesitter. It also serves a delicious breakfast i remember from many years previously. Isn't it such a pretty town? We checked in to our hotel and rang Nigel’s brother, Jim, to let him know we had arrived and arranged a pick up time. Cases sorted, photos downloaded and a quick wash and change and we met Jim and Diane and we went to dinner at a lovely pizza restaurant with an amazing brick oven and great food. It was a far cry from Enzo’s pizza of yesterday ... I mean they even had real silverware and china plates. It was lovely to catch up with a Jim and Diane and Jim even paid for dinner as Nigel’s birthday present. Exhausted and very happy we climbed into bed at the very late hour of 9.30. Tomorrow we could have a lie in, our first for days. By Lunch time we reach Keene which proves to be a veritable oasis for weary travellers providing several options for food and shopping. We decide on a visit to McDonalds and take advantage of their ‘all day breakfast’ menu to ward off our hunger thanks to a couple of Mac muffins... Oh and a side of fries! There is also a Starbucks inside a Target store so we are all set for part two of the journey to Concord. Arriving a little ahead of schedule there is time to tick off a couple of places from our ‘hit list’. We park in the centre of Concord and walk about amongst memories of previous visits and recollections of stores, churches, the village green and the post office. There is even time for the briefest stop at the Alcott house where we pretend to be interested in seeing the entry fees whilst in reality only aiming to steal a few picture opportunities. Job done, it’s time to find our hotel for the next two days and we easily locate the Best Western on Elm street which is pleasant and proves another well researched stopping point. Here we discover the convenience of what’s app phone calls thanks to Jim’s ingenuity and we are are able to make arrangements for dinner. Taking a rest from the wheel it was nice to be a passenger and be taken out this evening. We make for Bedford and a Pizza restaurant called Flatbreads. I learn that Jim and Diane have favoured this place for some time and that they even brought Mum here on a previous trip. It turns out to be a lively location. It was in danger of becoming even more lively when the food came. We had ordered a large pizza made half and half with pepperoni and mushroom & onion. The pepperoni was so large that it had overlapped into the ‘vegetarian’ half and was present on every piece of Karen’s portion. Undeterred, we ate well and even managed to squeeze in a desert. But the biggest treat came when we tried to settle the bill and Jim insisted that it would be their call as it would be a suitable birthday present for me. We were very grateful and, suitably full, we were Chauffeured back to the hotel for a not too late night. Tonight might be more of a challenge though as we have to share a bed for the first time on the trip.. although I have to say with it being the size of a small football field there was still a feeling of remoteness about it!. and before you say - I know today isn't Saturday. I am just giving you the head's up for next Saturday and sharing what I created for October. This was my sketch last Saturday and you need to watch for the next one coming out next Saturday. Hopefully, these sketches will inspire you to scrap - even if the connection to the sketch is somewhat lost. Life has been quiet but lovely here and whilst it is getting colder it is STILL my favourite time of year ... darker morning (snuggle up in bed time) crisp days (walks on the beach time) and dark evenings (snuggle up in front of the TV) What's not to like? A little while ago there was a challenge on UKS to scrap siblings. I don't have any of those. Just me - an only child - now an orphan! So I searched what I could make. I debated Nigel and his brothers but it didn't float my boat so much and then I thought of a picture of my Mom and her sister. It was all the more poignant because Aunty Betty passed earlier this year. So I dug out a photo of them that was from my wedding - just such a happy picture of them together. And I prepared to scrap it. And then I stopped and thought what I was going to do with it and - well inspiration struck. Nigel and I have been married almost 33 years and apart from the odd photo for a specific purpose I have never scrapped my wedding. There were reasons for this - and they were pretty stupid reasons really. Firstly I feel my photos are very old-fashioned. Well, they would be wouldn't they. It was the 80's. That's practically vintage! What I mean is they are very formal. I think wedding photography is gorgeous now with artistic shots, informality etc. Ours was of its time - formal and staid and, quite frankly, boring. The other thing is I was very nervous on my wedding day. I don't like my photo taken now and I am so much more relaxed these days. I look scared and stern in most of them. But I have come to accept that they are what they are and they ARE my wedding day - one of the happiest days of my life. And I haven't recorded the day in any meaningful way. I just have the professional pictures in albums and no stories are told. So I set about addressing that. I didn't want a huge album - so I went for 8" x 8" as I figured I would want very little embellishment and really just wanted to tell the story of some of the day. It's not going to be finished quickly as I dip in and out of it but here is the work in progress so far. Dated and simple but mine! and this is the companion page to the one of the three of us. Nigel worked on a local radio station - just once a week for sports reports - but knew all the staff so it was no surprise that I ended up Bride of the week - the bride they called on her wedding day! He just didn't give me any advance warning so no surprise but I was very surprised!! Thursdays - I know today is Friday but I missed yesterday - are art class and so I will share my latest picture. It is not my style was not my choice and is not the medium I like! It had to be acrylic and was from a very poorly copied picture off t'internet. But never let it be said I wouldn't do a challenge. We had to paint it from scratch in 2 hours. The idea was to be free with paint and just flow. Not detail. Having been on high alert for heath fires all summer due to the extreme heat and lack of any rain, we had a small heath fire near us last night. Thankfully it was spotted quickly and two fire engines and a tender were there in record time and it was soo dealt with. Let's hope that is it and there are no more. I am again so grateful for the firemen who work so tirelessly and that means the firemen all over the world, dealing with awful wildfires in California, Portugal and so many other placed, dealing with things like the collapsed bridge in Italy. They are remarkable, brave men and women. All respect to them. I had a wonderful catch up with a good friend and past colleague today. It was lovely to see her but it did remind me why I am so glad I have left there. But we had a super time and it is so good to still be in touch with so many people I used to work with. Firemen and women - not all heroes wear capes. Quite a lot of them wear yellow helmets! When I go supermarket shopping I avoid the cold aisles like the plague. I have reynauds and even getting just btter and yoghurt is enough to set it off. Today - well I loitered. Seriously loitered. I know we Brits are known for moaning about the weather but please, I have had enough. 29 degrees, humid and no sign of an end. The bedroom is like the tenth circle of hell, we are not sleeping and I long for the cold. Seriously. I am an Autumn girl. I no likey heat. My hair no likey heat either! Its a cross between barbed wire and a fuzzy wuzzy bear! Curly hair does not do heat and humidity. We got very hot setting up for the art exhibition this afternoon too. I finished my latest painting just in time. Thank goodness Nigelw as there as I still cannot lift, bend or stretch. There is also a table top sale of all sorts of stuff ont he Saturday all day. Last night we went down to the beach to see the blood moon. Of course, we saw the exact same thing as most people in the UK. Nothing! After weeks of no clouds, the cloud cover was thick and we saw nothing. Did have a nice sunset and a good long walk though. Today has marked an important step along my journey. It is a journey that might not go very far but, as they say, every journey starts with a single step and this is mine. I have finished my first ever commissioned pet portrait and I am terrified. I so hope the lady likes it. I really do. It was a major challenge as she is a beautiful cat but surrounded by white fluff, like a halo all around her. I found it a real challenge and couldn't quite translate it, but I am pleased with how the face and the markings turned out. I am going by the addage that if they wanted a photo well they already had the photo and this is a painting! all of the opportunities for creativity that I have been blessed to have had - scrapping, writing articles for magazines, painting, designing. I am very lucky to have the chance to do what I love. Just two more sessions to go. I came home and colled off on the balcony in the shade and then managed a bit of cooling scrapping - the weekly challenge on UKS. Yesterday I finished the watercolour painting of the dog and I have taken my first two commissions for pet portraits. I really enjoy painting pet pictures and so if you know anyone who wants a painting of their dog/cat/rabbit/budgie/lizard etc you know where to send them.